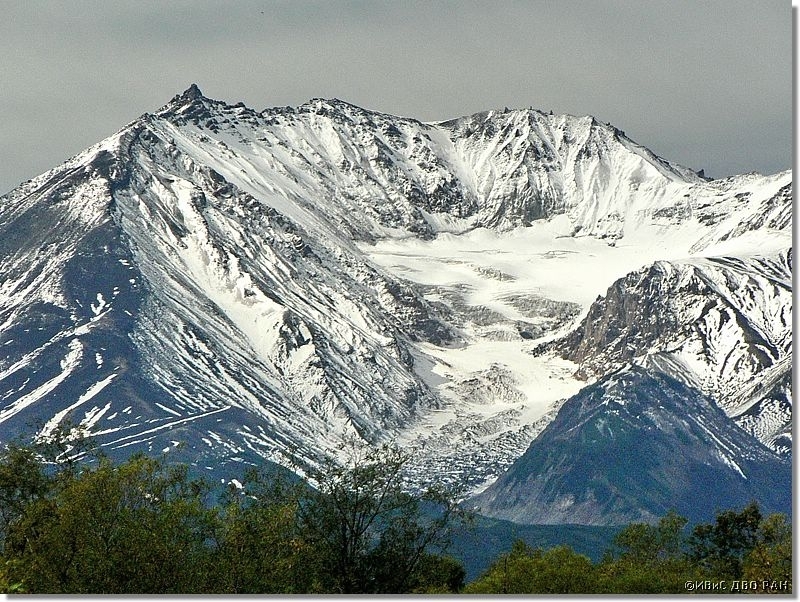 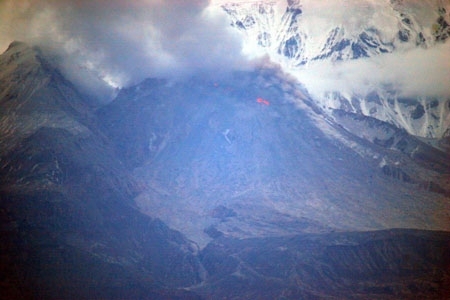 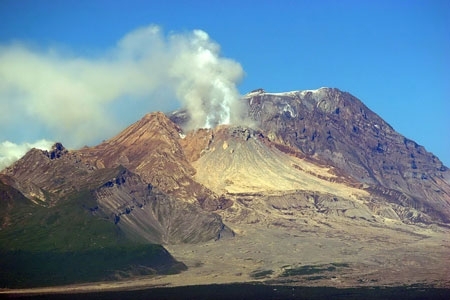 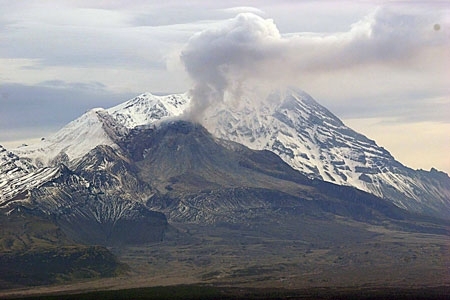 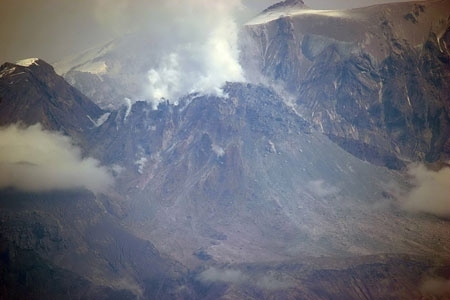 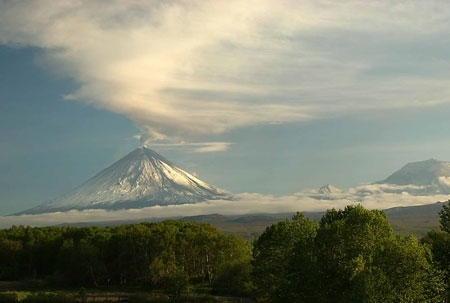 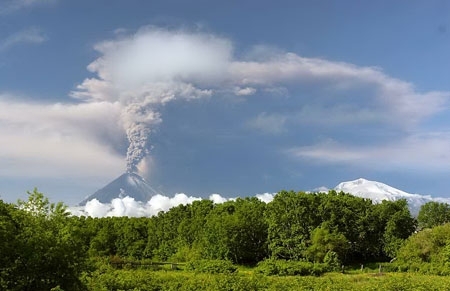 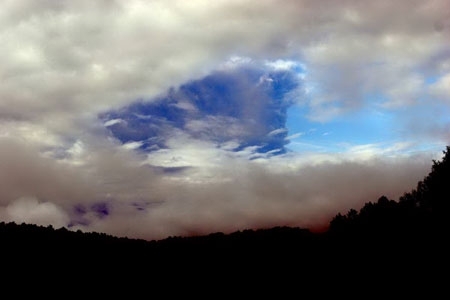 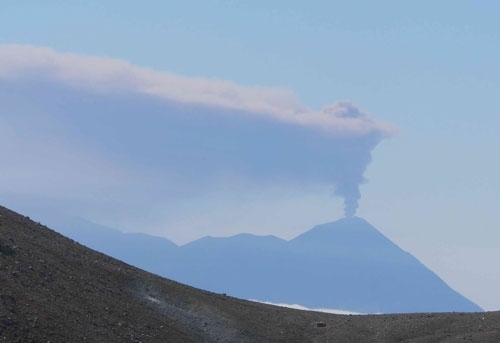 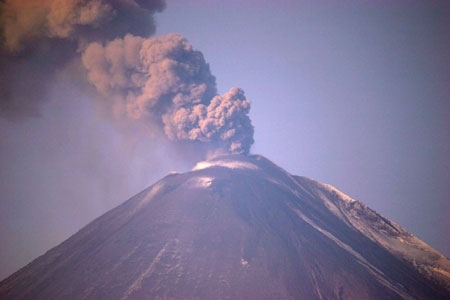 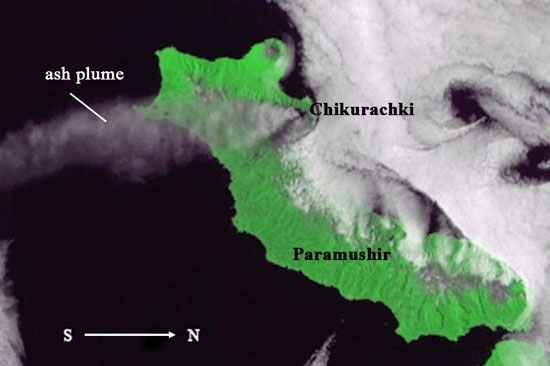 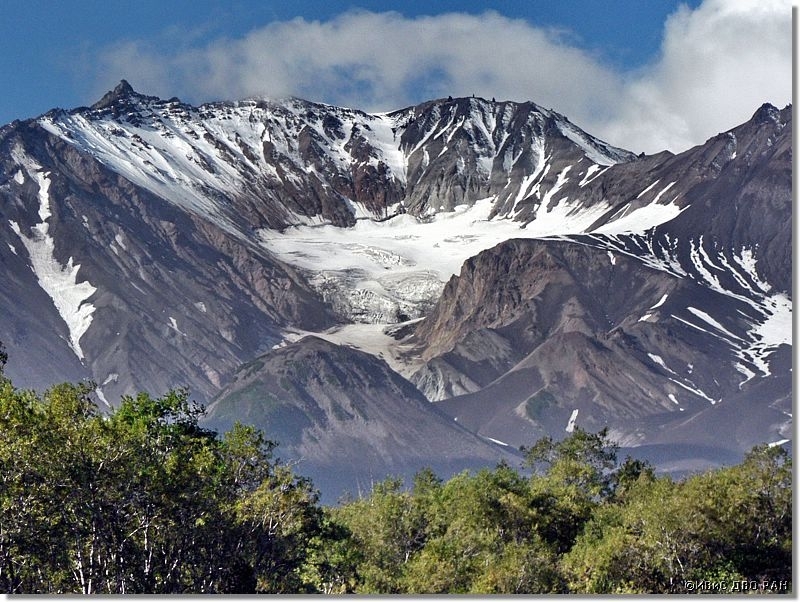 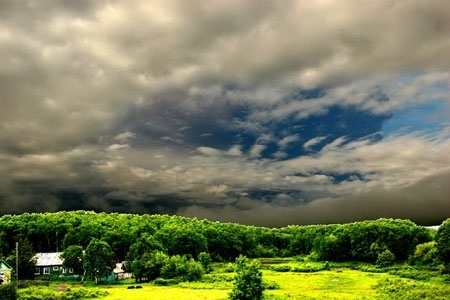 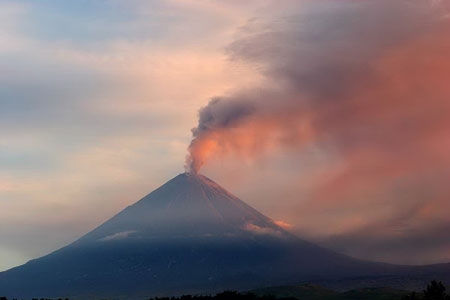 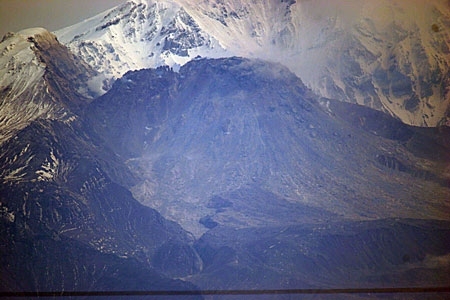 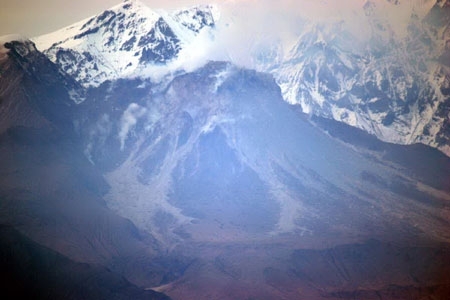 An ash plume is extending to the south from Chikurachki volcano on September 03, 2007. 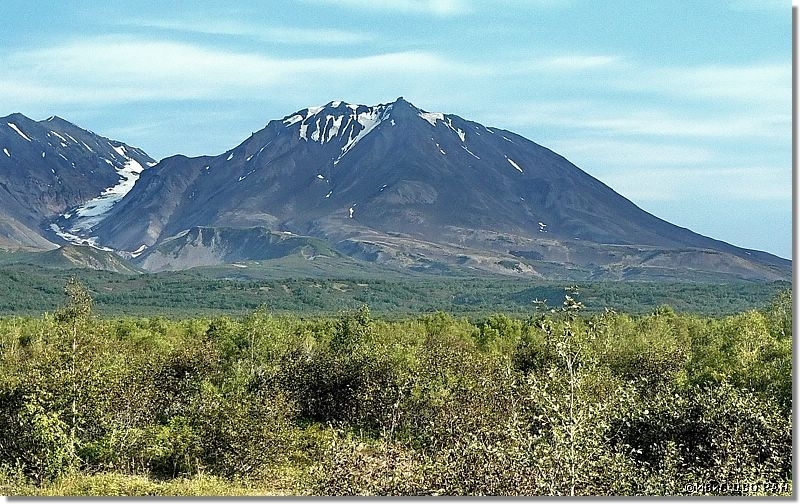 TERRA MODIS, Rosgeolfond RF, KVERT. 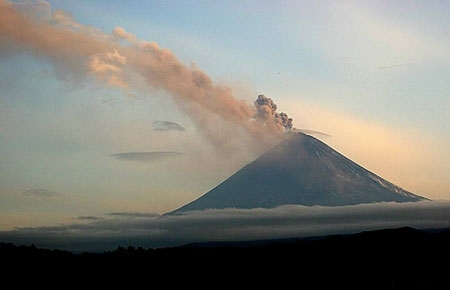 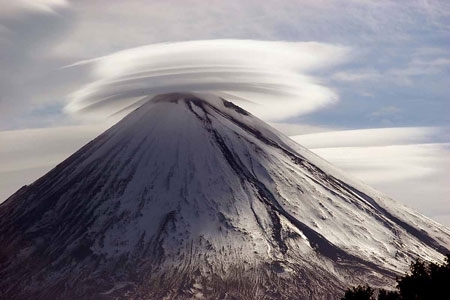 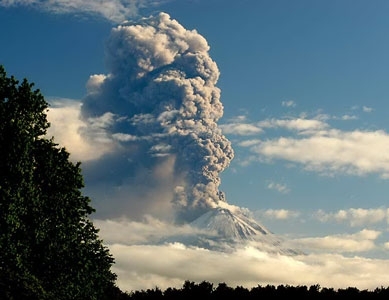 Explosive eruption of Chikurachki volcano on September 06, 2007.